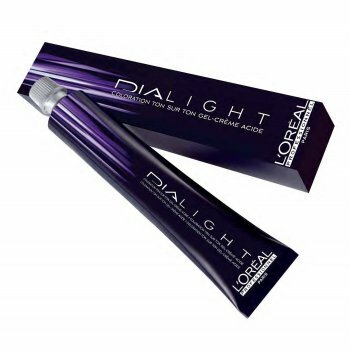 L&apos;Oréal Professionnel Dia Light 9.12, Iridescent Iced Milkshake. Ammonia free semi-permanent colour. L&apos;Oreal Professionnel&apos;s 1st acid tone-on-tone colour. Luminous reflects with ultimate shine and condition. Ideal for coloured/sensitised hair.